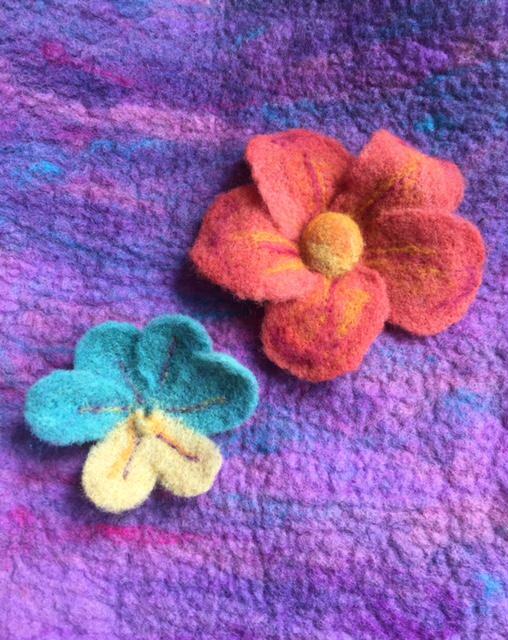 Create needle felted flowers in this class to make a brooch or embellish a bag or hat. 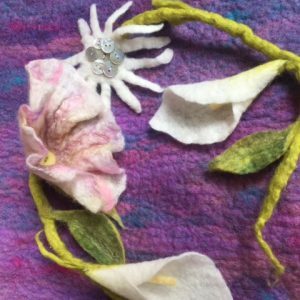 Learn and develop needle felting techniques in this fun and friendly workshop through making flowers, suitable for all abilities. 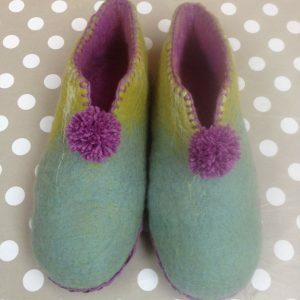 Felting is an ancient art form and can be used to create stunning decorations, flowers, novelty items and garments. Layers of wool fibres are worked together using barbed needles. The wool fibres twist and fuse together forming a beautiful natural material. 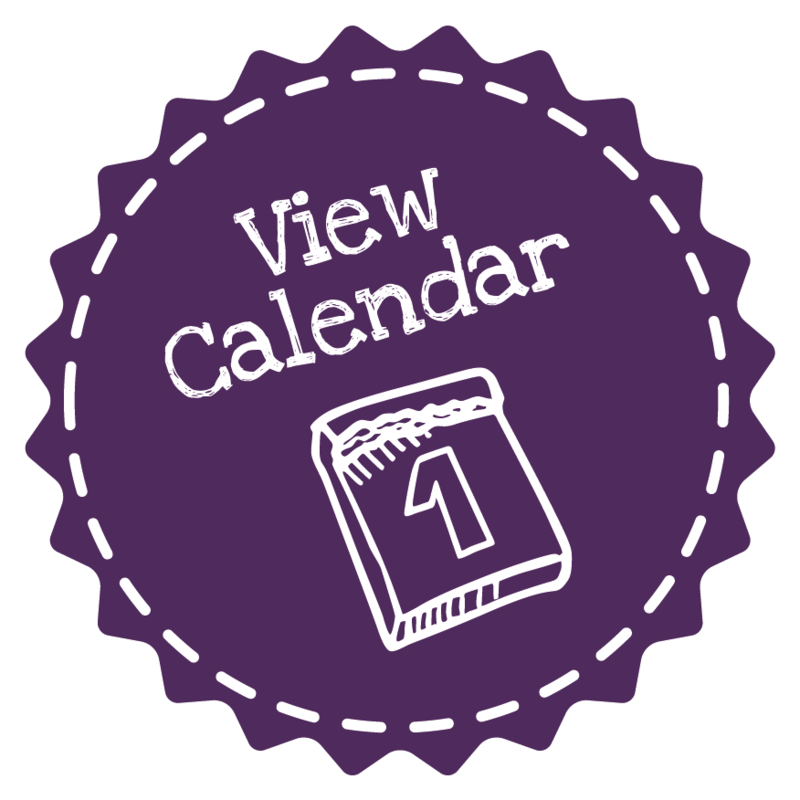 We will create felt flowers inspired by real or imaged ones, using carded, hand-dyed wools and special ‘barbed’ needles. We will cover equipment, mixing shades of wool, shaping petals and constructing flowers. Brooch backs will also be available to add a practical function to your beautiful flower. 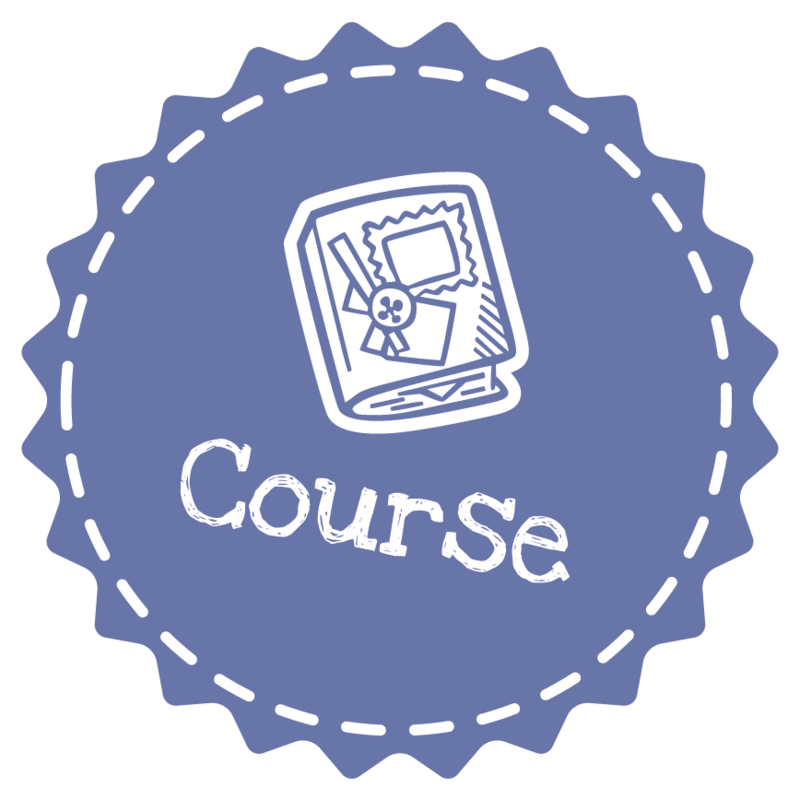 This workshop is suitable for complete beginners upwards. 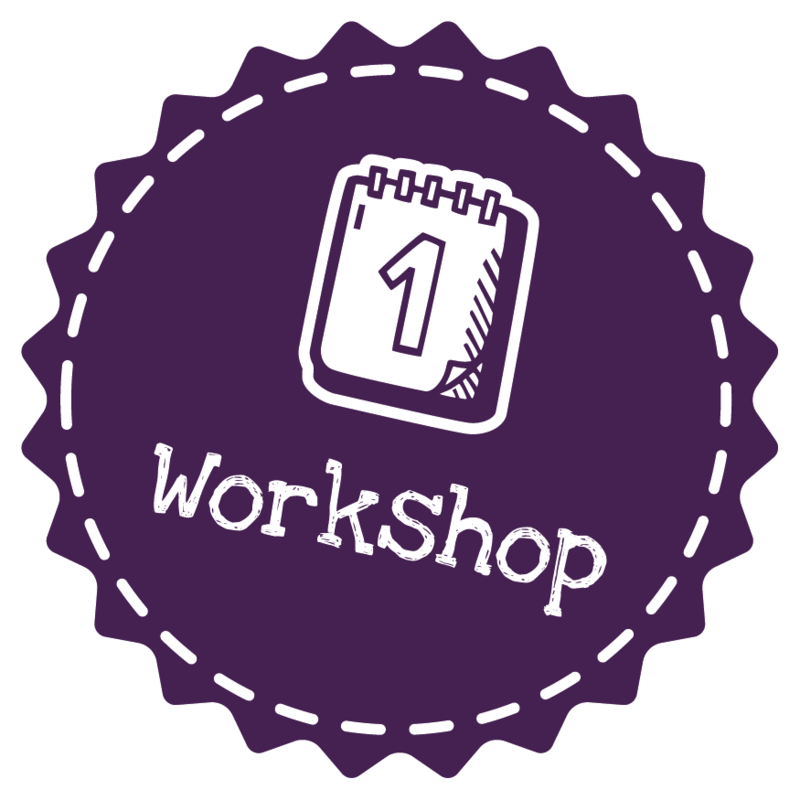 If you would like to learn how to sculpt with wool, this workshop is for you. Simply bring yourself! 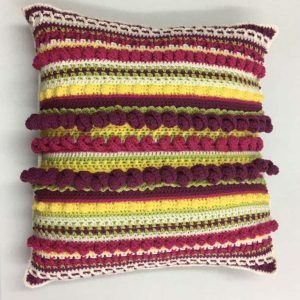 You will be given a kit containing a foam pad to work on and a set of felting needles. 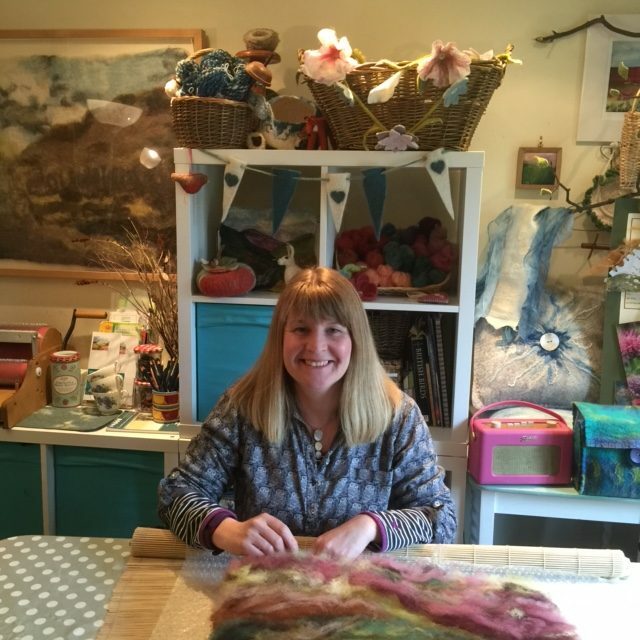 You will be able to choose from a range of wool fibres and templates to work with during the session. 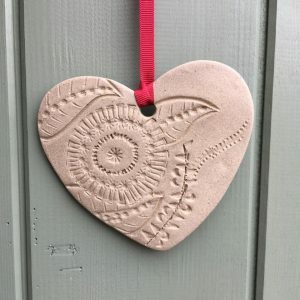 You will take home your flower or possibly more than one that you have produced in the workshop, your starter kit and the skills to enable you to make more felt flowers at home.